But some pigs are more equal than others. There is a clear hierarchy among Portuguese pigs. The black pig is at the top of the heap. This aristocratic swine feasts on acorns and is often exported to Spain to be turned into Iberian ham. Restaurants use fanciful names to describe cuts from this animal: secretos (secrets), presas (prey), and plumas (feathers). Next on the social scale, we have the “leitão,” the famous suckling pig that is roasted to perfection in the Bairrada region and served with sparkling wine. The rank below is occupied by the “porco bísaro,” a pig with big ears that is a cousin of the wild boar. Its tasty meat has made it all the rage in the north of the country. The normal pig is at the bottom of the snout ladder. 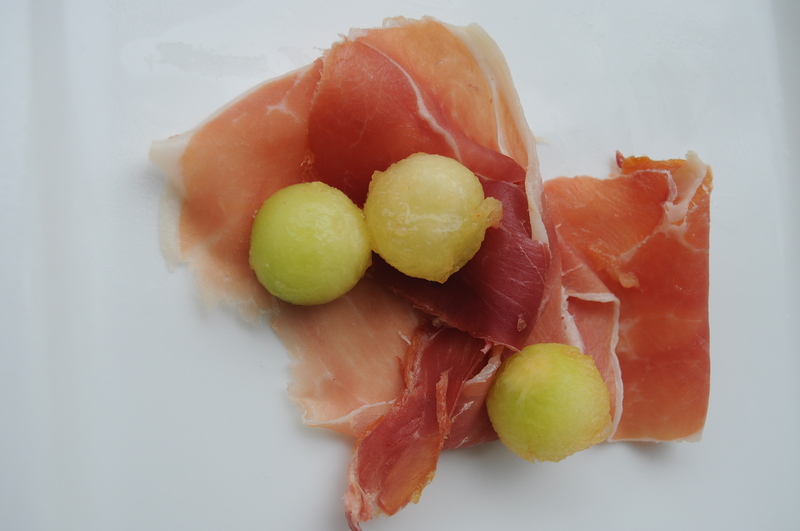 But the meat from this humble animal is essential to sublime preparations, such as pork with clams and presunto (Portugal’s version of prosciutto) with melon. It just goes to show that we should ignore social conventions and treat all pigs as equal. Secretos is by far one of my most favourite Portuguese meals. If you haven’t eaten this deliciously tasty (if fatty) cut of pork, you haven’t lived. Granted you’ll also live longer but where’s the fun in that? And if anyone’s wondering how to say it – ‘scratush’ for the uninitiated. The Portuguese, as well as being known for the way that they eat everything with gusto, also swallow vowels. Great post. I’m hungry now. Thanks.